Bigg Boss 10 Episode 51 6th December written update 2016 Swami Om pees in the kitchen leaving Manveer miffed. 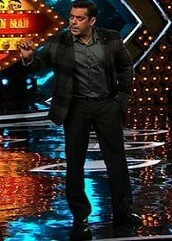 The contestants wake up to the peppy song “Meter Down”, which hints at the upcoming task. The new luxury task is introduced, and it is called ‘BB Taxi Stand’. Gaurav Chopra announces the rules of the task. According to the task, Manveer and Bani are the taxi drivers who will help the housemates to travel from one part of the house to the other. While they will collect money from the passengers for their journey, Priyanka is given the responsibility of a traffic police as well as the sanchalak.